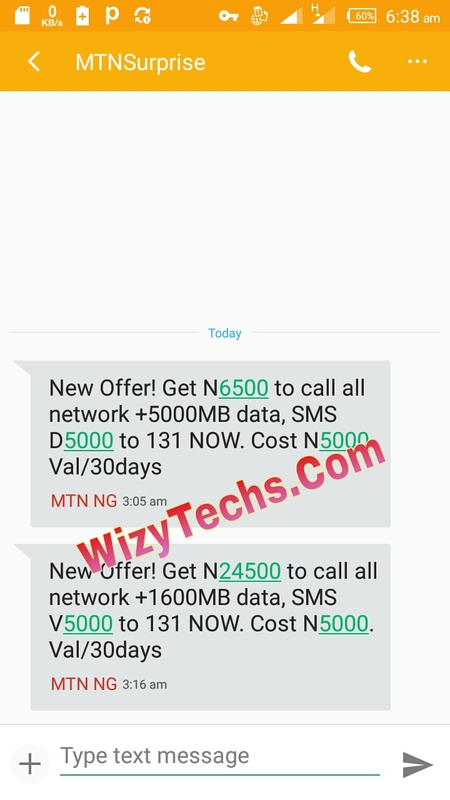 What Do You Think About MTN N24,500 Plus 1.6GB Plan Which Goes For N5000? Am still trying to figure out what i will gain if i give MTN N5000. Personally, I am a cool consumer of internet data so i think this package is not meant for people like me. Then, who is supposed to use this data plan? I strongly believe this package is meant for those that makes a lot of calls on daily basis either for business or any other thing. This will be a bargain for such people. Imagine gaining over 350% of your recharge in airtime and free 1.6GB data when you recharge with N5000. Meanwhile, if you look at it very well like the way am looking at it with my flashlight 🔦, the plan is somehow risky. Do you know why? Well, the validity period is just one month. Like seriously? So after one month, both the data and airtime will be wiped out and N5000 gone. Chai!!! When are we going to enjoy affordable data and call tariff plans in our country like others? In addition, MTN also released another package alongside with this one. 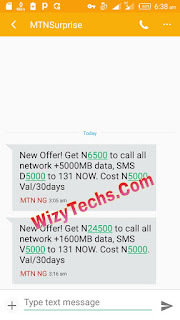 Get N6500 airtime plus 5GB data when you recharge N5000. To activate or subscribe to this plan, load N5000 in your MTN SIM and send D5000 to 131 in an SMS. So guys what do you think about these recent data packages. Remember it works on all devices but as i said, we are still far from enjoying what other countries are enjoying in terms of data packages.